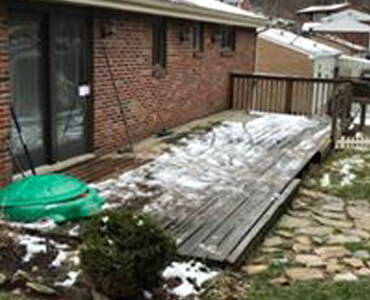 Let Our Experts Save You Thousands with an Extreme Deck Makeover! Tired of repairing and maintaining that old deck? 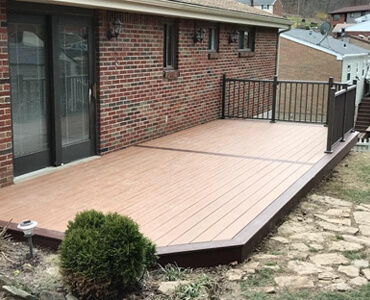 Quaker State Construction can make your old deck look better than new, for HALF the price of a new deck! Does your deck qualify for an extreme deck makeover? Want to upgrade to lower or no maintenance materials? Have a good foundation, but floorboards need to be replaced? Want to update style, add some personality? Looking to expand your size of a current deck? Working within a smaller budget where an entirely new deck may not be in the scope of work? If you’ve said YES to any of these questions, then an Extreme Deck Makeover may be a smart choice for you! Currently, LED outdoor lighting is expensive and difficult to install. With I-Lighting’s patented Easy Plug™ Installation System and low voltage DC power supplies, both contractors and consumers can now affordably access and utilize LED outdoor lighting thus allowing the full benefits of LED technology. Whether you want to add lighting to your deck or you want to give your deck a makeover, our expert team has the tools and the expertise to get the job done! Contact us today to speak with one of our experienced and knowledgeable designers about Lighting Solutions for your Deck.